Come in 3rd place but I think that’s due to the down time they had during the review. They have been troubled with down time for months now, the site is fantastic and I really want the pool to do well but with the constant down time its hard to have these guys as my main pool. We can see by the results Star Pool winning the LTC race but I think this is down to the 0% fees until 5th march, so if you want some extra LTC jump on Star Pool until then. We see the largest increase in LTC from Mining Dutch on the last 2 day “non-mining” period, this to me indicates they have the slowest conversion but highest conversion rate. This is no bad thing as I am in no rush to get my LTC, I am just looking for the most for my mining time. 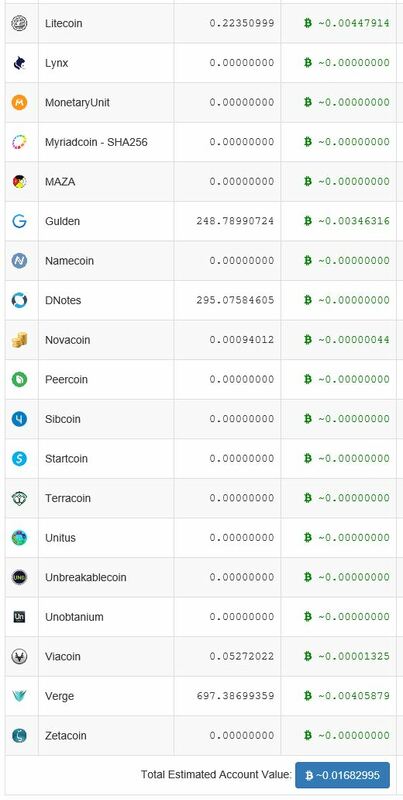 We also see the list of Alt-coins shrink as they are converted into LTC by the pools backend servers via the coin exchanges. On MultiPool we actually see the estimated BTC amount go DOWN. This is the nature of holding those cheep alt-coins on the pool and not selling them right away, they may have been profitable on the day of mining but if you don’t sell out fast you will loose money. For me Mining-Dutch are still the over all winners here and ill be leaving my miners here for the time being.